If you need to grab your ward ware- don't despair. 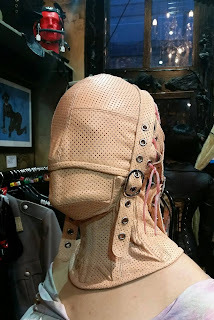 FAB - Fetish Alternative Boutique is running a promotion just for Psycho Ward patients starting from Tue 29th until 20.00hrs on Fri. 2nd. There will be a 10% discount across the whole range in store, even on already discounted items! Just mention the code P.W.10 at the till before paying :-).